Asphalt shingles are the most popular roofing material for a reason! They offer incredible durability, ease of installation, and lifespan. They can also be recycled these days! If you have asphalt shingles, you are good for up to 25 years. However, if you look up and see the corners and edges of your shingles starting to curl, something is up. In the next two blogs, we are going to discuss the things that make shingles curl. Asphalt shingles have precise installation requirements. From the number of nails to the exact positioning of each shingle, each regulation is there to make sure the shingles can work together as a team. If a contractor who wasn’t familiar with asphalt shingles installed your roof, incorrect installation will ruin the shingles and void the warranty. Additionally, if your roof was installed when it was very cold or wet, the shingles may curl. After a few decades of searing sun, beating rain, freezing snow, brutal hail, and high winds, shingles eventually have enough. If you see curling, check in to remember the last time you replaced your roof. If it was about 25 years ago, it’s probably time to contact Tim Leeper Roofing for a new roof. 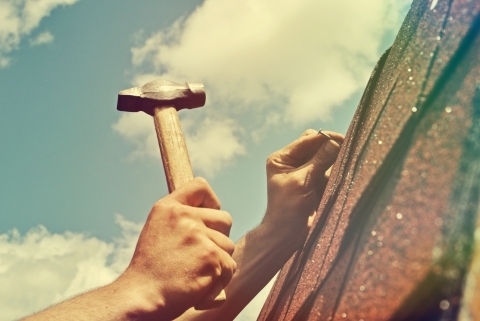 Having a solid roof is a must whether we’re talking about your home or your business. Contact us for world-class residential and commercial roofing in Nashville. We’ll always treat your property like it’s our own and find a way to go the extra mile.